US plane manufacturer Boeing, in talks with Malaysia for the sale of 18 F/A-18 fighter jets, is pinning its hopes on an order to give a boost to the struggling product, executives of the planemaker said today. The F/A-18 model, French firm Dassault’s Rafale, Swedish manufacturer Saab’s Gripen, and European consortium Eurofighter’s Typhoon are all being assessed by the Southeast Asian nation to replace it aging fleet of Russian MiG-29 fighters jets. While the purchase was earlier expected by Malaysia to be completed this year, the country’s recent fiscal troubles due to plunging oil and commodities prices means likely delays in placing the order, aviation executives have said. “Given the current economic situation, we would not be surprised to see the acquisition delayed a bit more. 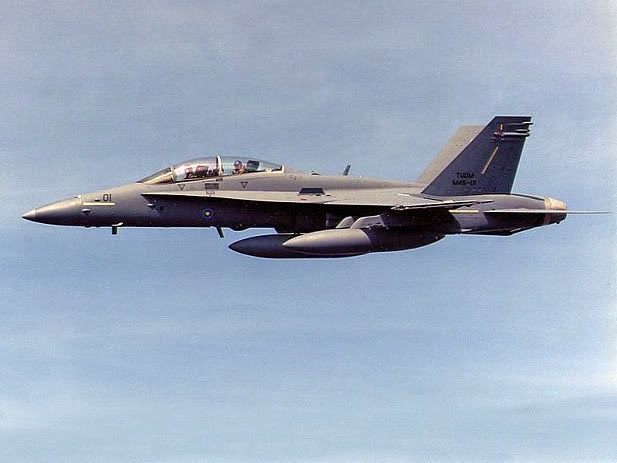 But we remain in an active dialogue with the customer,” Howard Berry, Boeing’s vice president for F/A-18 international sales, told Reuters on the sidelines of an aviation conference in Langkawi. Last month, Dassault Aviation said that it is in talks to supply 16 of the multi-role combat jets to Malaysia. Malaysia’s Air Force Chief General Roslan bin Saad said all options were being considered for replacing the MiG29s. “When fighter jets come to a certain number of years, it’s normal to look for options. We are talking about whether we should continue with these (MiG29) jets or not. Nothing is final yet,” he said, adding that “affordability” was a key consideration. A recent slump in oil prices has led to a depreciation of the Malaysian currency and weakened the economy of the net oil-exporting nation. Western defence contractors are chasing overseas sales to prevent their production lines halting due to cuts in domestic defence budgets. Boeing is seeking sales for the F/A-18s, and is in competition to sell the jets in some countries. With the defence markets being fairly flat in the United States, the importance of international markets has increased. Fewer orders may force the manufacturer to look at winding down F/A-18 production in the future.